The Cardinal Guardian Hydraulic Floor Scale series is just what the name implies, optimum guarded protection against harsh environments. Most models are designed with STAINLESS STEEL DECKS and all feature STAINLESS STEEL LOAD CELLS. 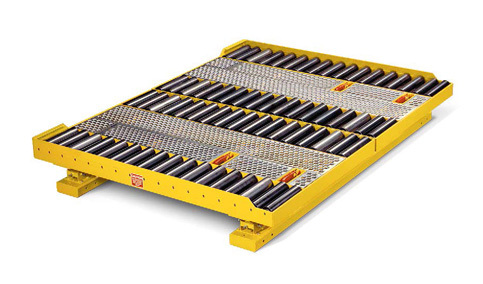 This premier floor scale guards against power surges, corrosion from chemicals, explosive environments, and high-pressure washdowns. Utilizing hydraulic load cells, there is absolutely NO ELECTRICAL POWER IN THE SCALE ITSELF, providing you with the best choice for weighing in water-laden environments. The Guardian is your shield against the dangers inherent in EXTREME-DUTY ENVIRONMENTS and is excellent for food grade processing applications. To insure your investment, Cardinal provides a lifetime warranty on the Guardian’s hydraulic load cells. Rapid, accurate weighing translates into optimum performance in any operation, and Cardinal's Floor Hugger helps you reach that goal. 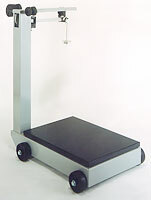 This above-ground platform scale provides you with the latest in weighing technology. 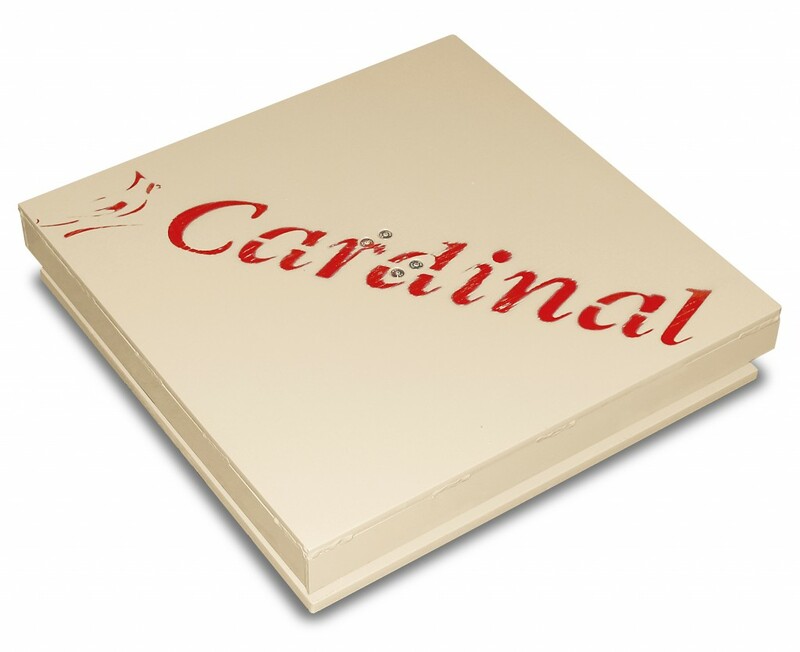 Cardinal's unique load cell assembly is self-checking and environmentally sealed for those less-than-perfect locations. Click on (more info) for optional lift up tops and heavy duty models. 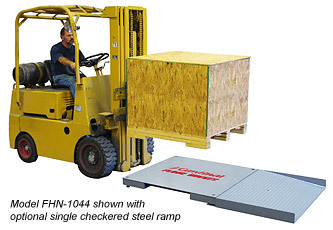 Great for industrial applications, Cardinal's Mini Hugger floor scale is rugged enough for everyday use in the busiest of warehouses. Cardinal's heavy duty load cell and 1/2 inch thick steel deck plate mean low maintenance and high performance. Add a Cardinal 200 series indicator (such as the 205 shown) and you'll have a weighing system to get the job done accurately and reliably.. Weighing in at less than 100 pounds and featuring built-in handles and wheels, the Run-A-Weigh is easy to lift and roll to wherever you need it. Whether it's multiple weighing locations at a single facility or the need to take a scale to special job sites, the Run-A-Weigh gives you true portability. The Model 854F is designed to provide years of accurate, service-free performance in tough environments. The 854F is easy-to-read, simple-to-operate and easy to roll wherever you want it, whenever you need it. Counterpoise weights are supplied to the capacity of the scale. The dual reading Model 854F is supplied with both pound and kilogram weights. These digital portable platform scales let the weighing come to you. Portable and attractive, the 5852F-204 weighs in increments of .2 lbs up to 500 lbs. The platform size is 19 inches wide by 28 inches deep and the shipping weight is 108 lbs. For higher capacity needs, ask for the 8852F-204 digital portable platform scale which weighs in increments of .5 lbs up to 1,000 lbs. They're powered by 6 "C" size Alkaline batteries (not included) or the included AC adapter.